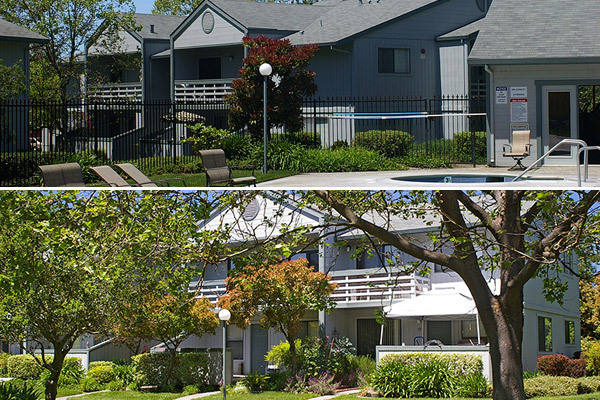 The 142-unit Spring Club apartment complex is located in an unincorporated area north of Santa Rosa. The project consists of 18 buildings containing one-, two- and three-bedroom flats and townhouses sited on 10 acres of land bisected by a public street. Parking is provided by a combination of garages, carports and uncovered spaces. Common area facilities include a laundry room and a community building with a kitchenette and exercise room opening onto a swimming pool and jacuzzi patio. The buildings are sited within lush landscaping and connected by meandering concrete paths.